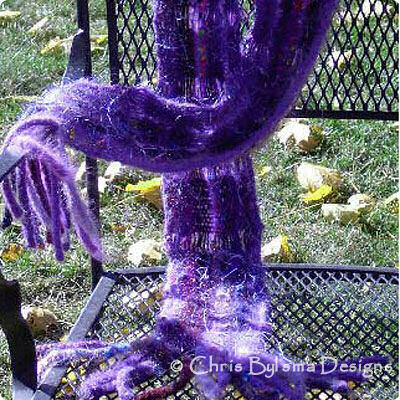 Start with the dropped stitches of the Ladder Scarf, add knitted fringe "fingers," all your favorite accent yarns, and then felt it. Who says you can't have it all? Size: 76" (with fringe) x 4.25"